How to Play OGG on iPhone? WonderFox DVD Video Converter– Convert OGG Files to iPhone 5S/ iPhone 5 / iPhone 4S / iPhone 4 / iPhone 1-3 with Simple Clicks. Update: WonderFox DVD Video Converter supports to play OGG on iPhone X, iPhone XR, iPhone XS, etc. varied iPhone devices. OGG is a container format that is used for the streaming and manipulation of audio files. As a completely free, open and unpatented format, compared to other popular audio formats, MP3 and WMA, in the same file size, OGG bears higher definition quality. What makes us headache is that today most portable devices do not support this format, even the most advanced ones. Does iPhone Support the Ogg Vorbis (.ogg) Audio Format? 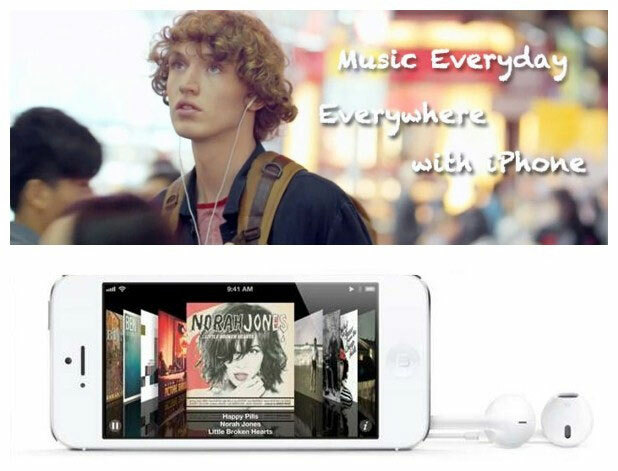 First let’s have a look at the audio formats iPhone can recognize and play. As we can see, OGG Vorbis didn't make the list. What a great pity! What should you do if you have an urge to play OGG files on your iPhone? An OGG converter for transferring OGG files to iPhone is a friend in need. 1. Besides converting the source format OGG to any other different formats iPhone recognizes, we may also want to extract OGG file from video first and play the audio on your iPhone. Then, you need a versatile converter embraces converting both video and audio files. 2. Considering that the ability of converting OGG format varies, we certainly hope to get one converter that the converted files would keep the original sound quality regardless of the format convert to. 3. It’d be great if we could convert the OGG files in batch mode instead of waiting for the repeated process one by one. Together these factors determine the eventual decision – WonderFox DVD Video Converter. It goes even farther and beyond our imagination. Just follow the guide, you can easily convert OGG files and play on iPhone. Step1. Install WonderFox DVD Video Converter and launch it. Click "Add Files" button to load the OGG files to this OGG converter. Note: You are also allowed to directly download online OGG files from YouTube, Facebook, Vimeo, etc to your iPhone. Step2. Hit the “Output Format” dropdown list and set iPhone series as output device, or consult the format list iPhone supports above to choose one, like OGG to MP3, OGG to WAV. Note: WonderFox DVD Video Converter supports a wide range of Apple devices including iPhone 4S, iPad mini, iPod Touch, Apple TV, etc. Step3.Click “Run” button to convert OGG files to iPhone. You can find the converted audio files in output folder by clicking “Open Folder”. The task will be perfectly finished in the shortest time with only 3 simple steps. 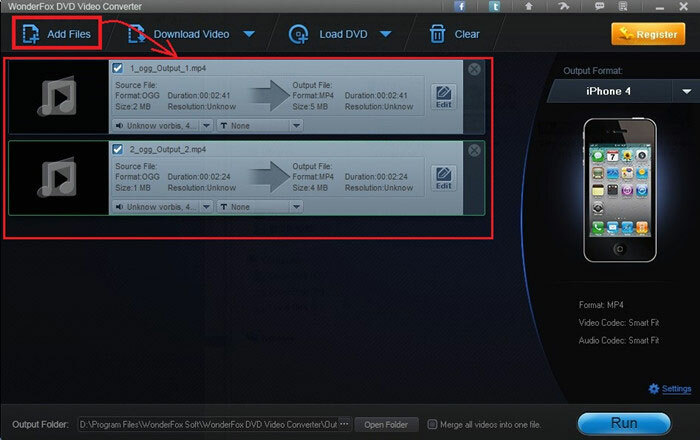 With WonderFox DVD Video Converter, playing OGG files on iPhone won’t be a problem anymore! Still have trouble about how to play OGG files on iPhone? Please feel free to Email Us. Or just follow our Facebook or Twitter to get free professional support.